NEW YORK - Norman G. Gaylord, a versatile industrial chemist who helped develop a safe and permeable material for hard contact lenses that allowed oxygen to reach the eye, thus avoiding a common lens problem, died Tuesday in Boynton Beach, Fla. He was 84. Dr. Gaylord's death was confirmed by his family. Working with a New York optometrist, Dr. Leonard Seidner, in the 1970s, Dr. Gaylord experimented with various materials in an effort to prevent corneal edema, a condition that occurred in some contact lens wearers. When lenses stayed in place for long periods, earlier acrylic materials sometimes blocked the passage of oxygen to the cornea, leading to blurred vision, swelling of the eyes, and even nerve damage. Dr. Gaylord developed a rigid material, siloxane-methacrylate, that was both permeable and suited to the production of lenses. He was awarded two patents. With Seidner, he marketed the material as Polycon for lenses that were intended to be worn all day and then removed for cleaning at night. After the material was shown to be reliable and safe, it was approved by the Food and Drug Administration in 1979. Joseph C. Salamone, a polymer chemist and former vice president of research for Bausch & Lomb, said that Dr. Gaylord's experiments had been "critical to the development of novel materials, and through them he became a pioneer at the beginning of a new field." Siloxane-methacrylate, Salamone said, has since been superseded by lens materials that are even more permeable. And soft materials called hydrogels and silicone hydrogels now allow some contact lenses to be worn for up to a month. From the Gaylord Research Institute, his laboratory in New Providence, N.J., Dr. Gaylord also worked on rubbers and resins, films, and fabrics for industrial and commercial applications. 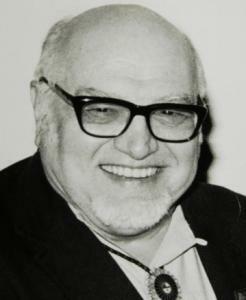 With Norbert Bikales and Herman F. Mark and others in the 1960s and '70s, he edited a standard series of reference books for chemists, The Encyclopedia of Polymer Science and Technology: Plastics, Resins, Rubbers and Fibers. Norman Grant Gaylord was born Norman Grant Goldstein in Brooklyn, N.Y., and legally changed his name in the 1940s. He graduated from City College of New York and went on to receive a doctorate in polymer chemistry from the Polytechnic Institute of Brooklyn in 1950. Dr. Gaylord conducted research for DuPont, the Western Petrochemical Corp., and the Interchemical Corp. before founding his laboratory. He later taught chemistry and advised graduate students at Drew University in Madison, N.J. In 1985, the American Academy of Optometry gave Dr. Gaylord its Founder's Award in recognition of his work on rigid contact lenses. Dr. Gaylord leaves his wife of 63 years, the former Marilyn Einhorn. The couple lived in New Providence and Memphis before moving to Boynton Beach. He also leaves a son, Richard, of Champaign, Ill.; three daughters, Cory, of Boynton Beach, Kathy Fleegler, of Ambler, Pa., and Lori Gagliardi, of Basking Ridge, N.J.; six grandchildren; and three great-grandchildren.